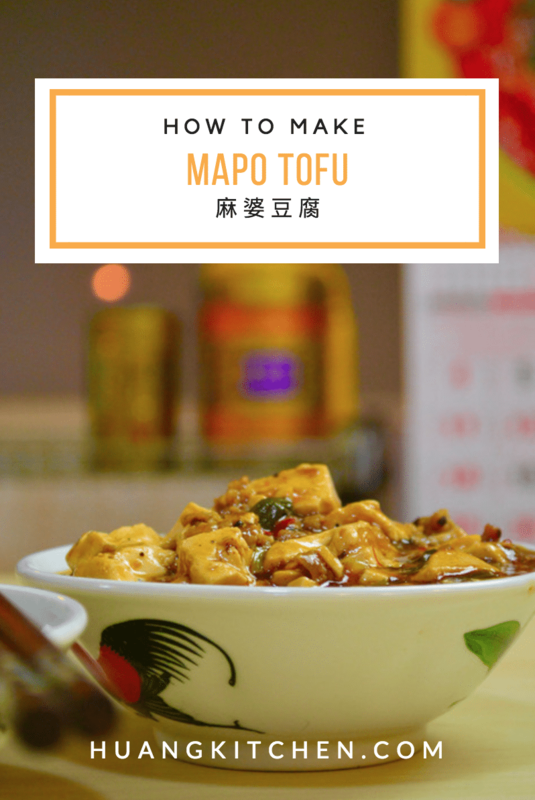 This is an easy mapo tofu recipe that anyone can cook when they are too busy and needed to cook something for a quick lunch or dinner. 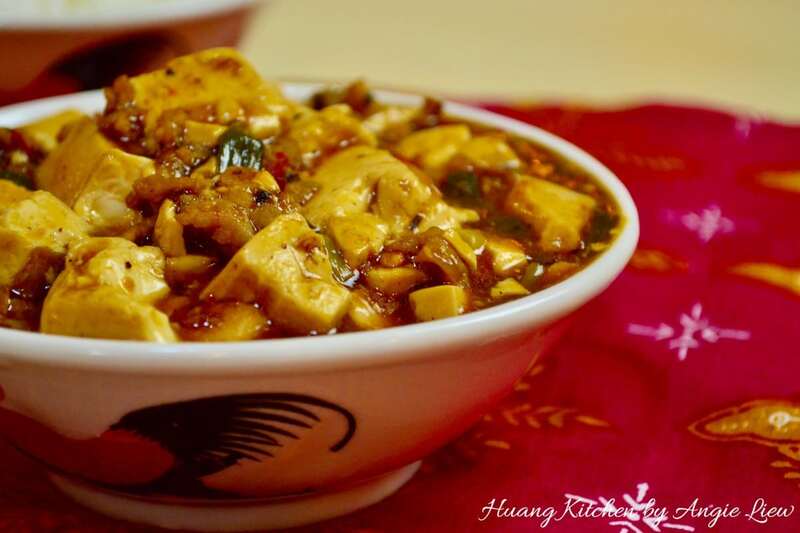 Mapo Tofu or Mapo doufu (麻婆豆腐) is a popular classic Chinese dish from the Sichuan province. It is extremely flavourful, spicy and has the signature pungent yet alluring taste that goes perfectly well with steamed white rich. It can also be served with steamed rice as a one meal dish too. This classic Sichuan cuisine consists of silken white tofu, mince meat, doubanjiang (豆瓣酱), fermented black beans (豆豉) and Sichuan peppercorns. Doubanjiang, also known as spicy fermented broadband and chilli paste is an essential ingredient in this dish. It is full of flavour and gives this dish a totally whole new dimension. The presence of ground Sichuan peppercorn really enhances the dish as it imparts burst of tongue and mouth numbling effect. It also gives the dish a nutty aroma that all Sichuan peppercorn lovers can’t do without. 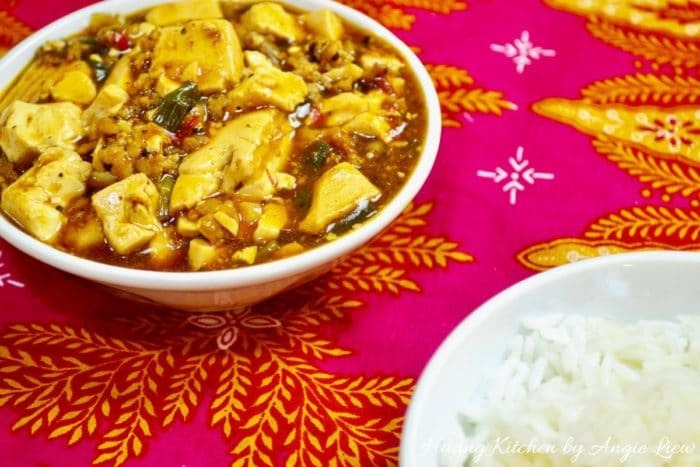 Best know for its unique aroma and delicious gravy, Ma Po Tofu 麻婆豆腐 is a popular Szechuan dish that is known everywhere around the world. Filled with the fragrance of fermented beans and Szechuan pepper corn... best served with a hot bowl of steamed rice! 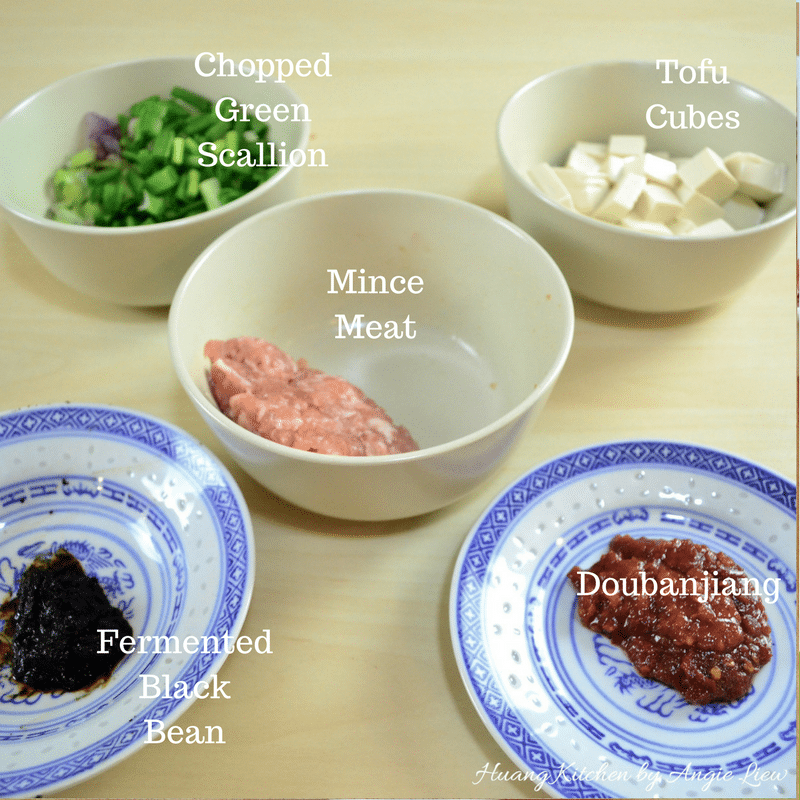 Have ready the ingredients needed: chopped green scallion, tofu cubes, mince meat, doubanjiang and fermented black bean. Also chopped white scallion, chopped garlic and sichuan peppercorn. After mincing meat, marinade with sesame oil and salt in a bowl. 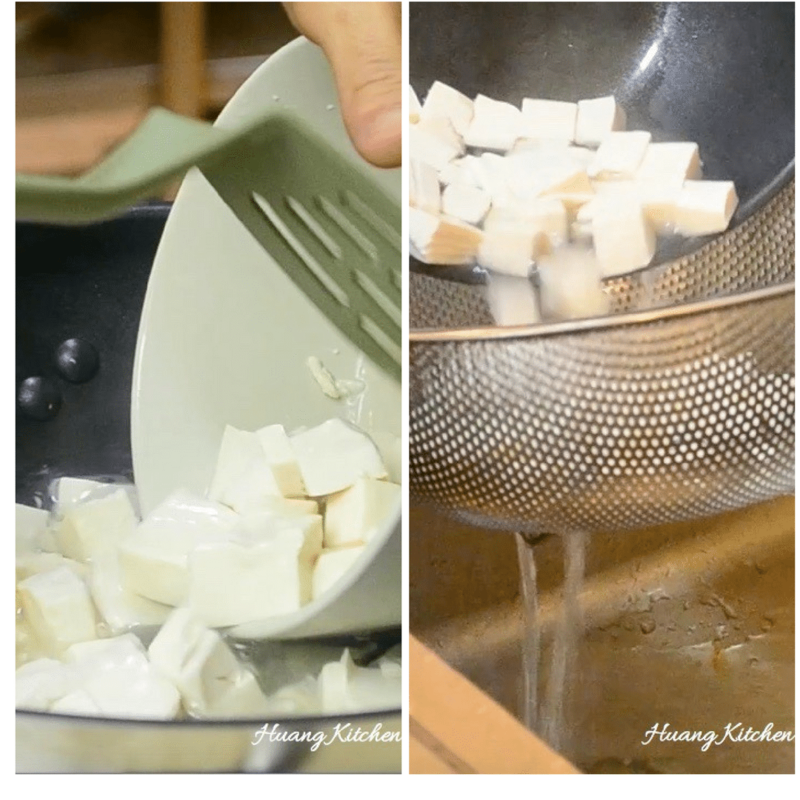 Then cut a block of silken white tofu into cubes. Lastly, make cornstarch mixture by combining cornstarch with water in a small bowl and set aside for later use. Next boil some water in a saucepan and cook the tofu cubes for about one minute. Then drain well by straining through a large sieve. 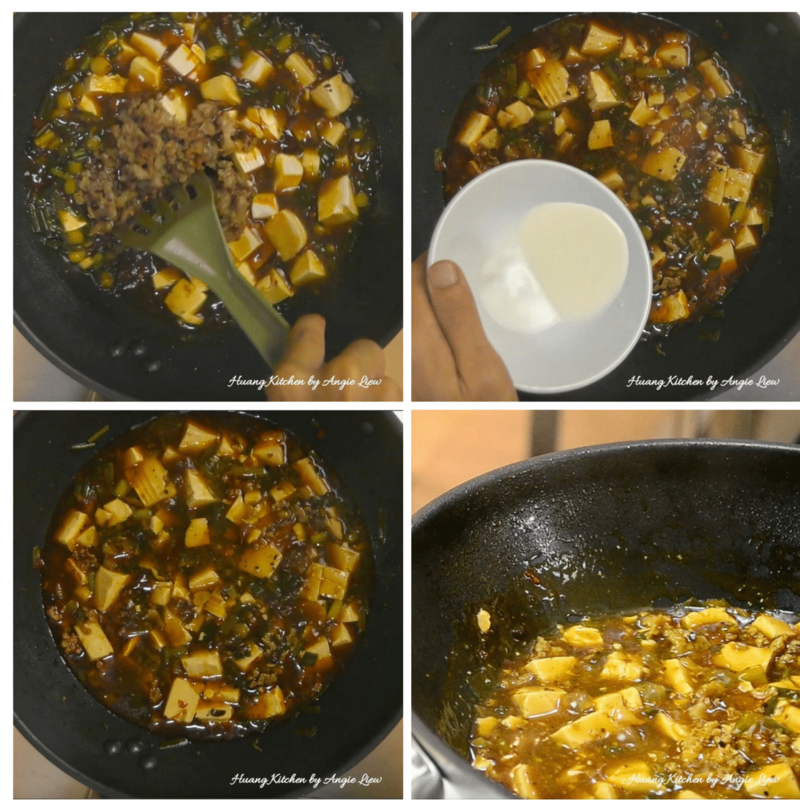 Set aside and we're ready to fry mapo tofu! Heat vegetable oil on medium heat and fry marinated meat till just cooked. 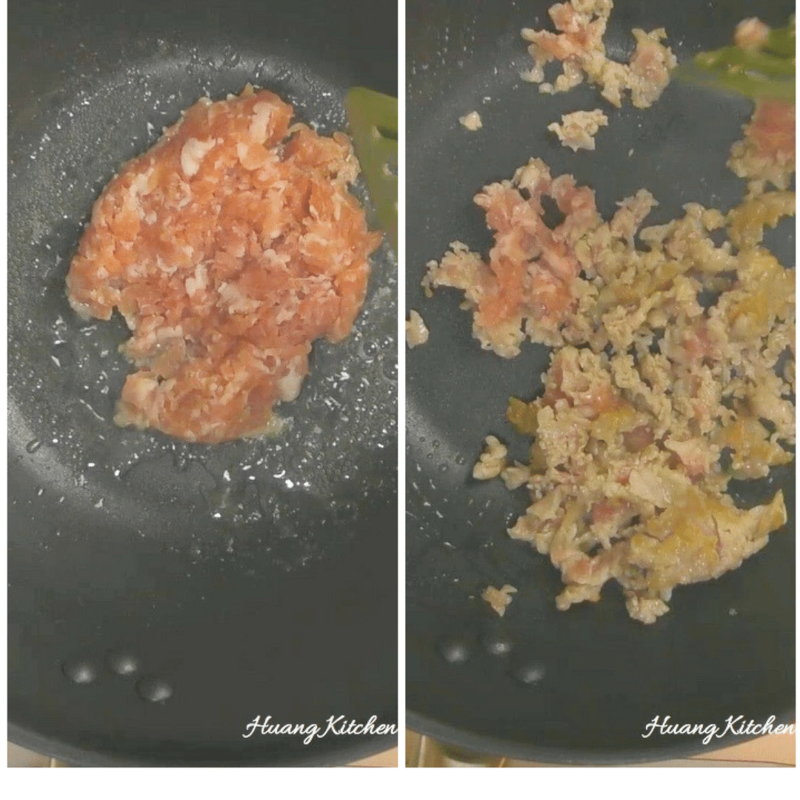 Remove meat from frying pan and set aside. Heat up the same oil. Then add in doubanjiang and stir fry till aromatic. Then add in the chopped scallion, garlic, fermented black bean and ground sichuan pepper. Continue to stir fry till the spices aroma is released. Then add in water. Once the water mixture comes to a boil, add the tofu and gently stir without mashing up the tofu. Then, add soy sauce and fried meat. Gently stir to ensure the tofu and meat are well mixed. Bring the sauce mixture to a boil. Then turn heat to low and allow to simmer for another 5 to 10 minutes. Lastly swirl in the cornstarch solution in batches, gently stir until the sauce thickens. And we're done! Turn off heat and transfer the tofu mixture into a serving bowl. 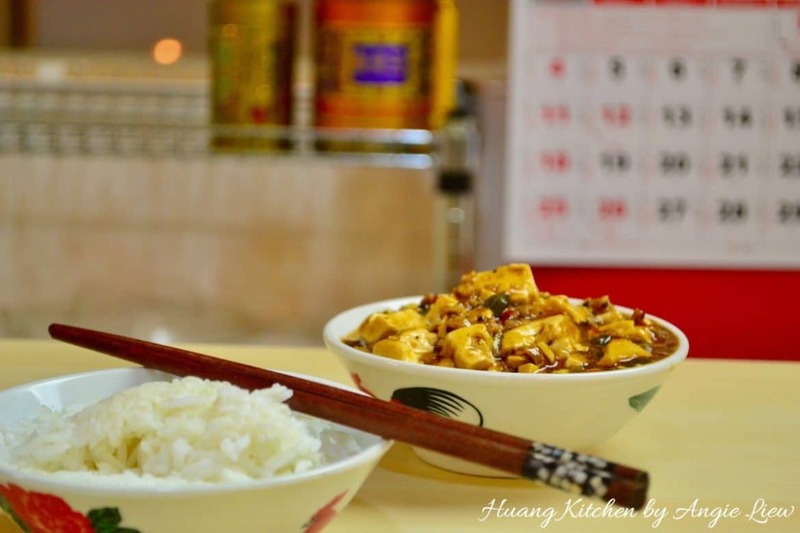 Serve the Mapo Tofu immediately, warm over hot steamed rice and ENJOY! Try not to stir the tofu immediately after adding into the sauce mixture in order to ensure the tofu cubes from breaking apart. Cooking the tofu for one minute helps to make the tofu firmer. Before adding cornstarch mixture always taste the sauce mixture and adjust seasoning to taste by adding salt. 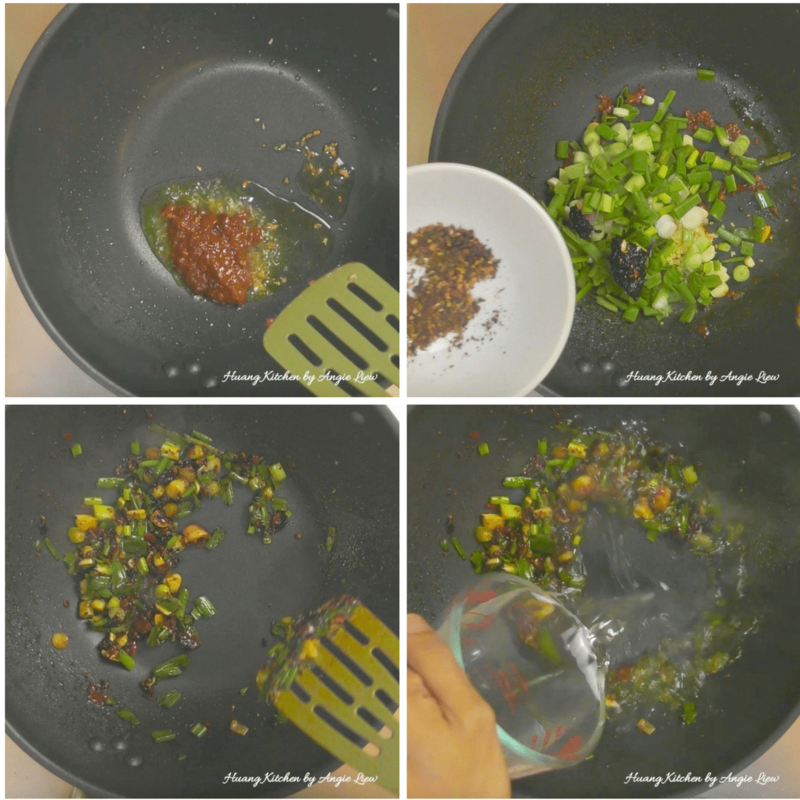 If the dish is too spicy, add a little sugar and gently mix well together. Mapo Tofu is a very versatile dish. You can make this a vegetarian dish by substituting meat with chopped mushrooms.